Even though I was only five years old when the Challenger disaster happened, I can remember it quite vividly. My kindergarten teacher had the television on in our classroom so we could watch it. It was a major event to watch a shuttle being launched into outer space. 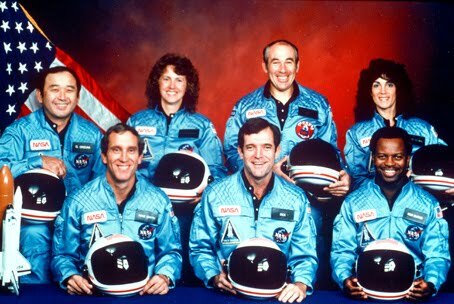 I think the teacher was more excited than the kids because of the fact that Christa McAuliffe, a school teacher, was apart of the crew. There are certain things in one's life that she/he never forgets and the Challenger disaster is one of those things for me. Do you remember the Challenger disaster?